WE’LL WATCH YOUR KIDS WHILE YOU FOCUS ON YOU. 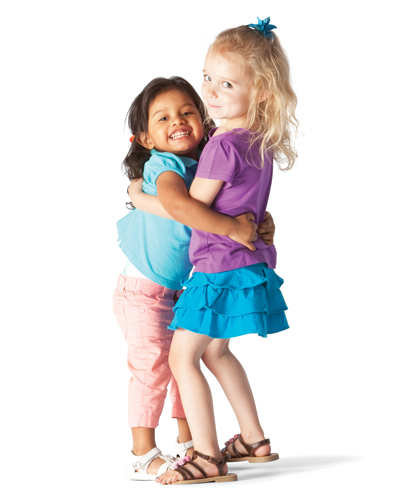 Located off the main lobby of the Y, Child Watch is an onsite, drop-off babysitting service for children ages 6 weeks to 8 years. This member service is available to parents while they are working out at the Y. Parent or guardian must sign their child into and out of the room, and must remain in the building while their child is in Child Watch. Food is not allowed in Child Watch and bottles and sippy cups are only allowed if they are needed as a source of a meal for a baby or infant. There is a maximum of 3 hours per child per day. $2.00 per hour for the first child, $1.00 per hour for each additional child. Punch cards are available for purchase for $10, $20 or $50. Y members must be on an automatic monthly membership bank draft in order to use this unlimited Child Watch payment option. Current Annual Memberships may transfer their membership to a Bank Draft at any time. Their Annual Membership fee will be prorated and they will be reimbursed via a check, for the difference. A voided check or bank issued savings card is required upon change to establish a Bank Draft. Child Watch Change Form must be filled out with a Membership Specialist (see Membership hours) by 10 days prior to the member bank draft date, in order to add unlimited monthly Child Watch to their bank draft. Monthly unlimited Child Watch is effective on the new bank draft start date. Members who pay for their membership annually may add unlimited Child Watch to their membership at any time, paying for Child Watch through their membership expiration date. Child Watch Change Form must be filled out with a Membership Specialist if a current member. New Annual paying members may establish unlimited child watch upon joining. FOR MORE INFORMATION, CALL THE WELCOME CENTER DESK AT 920-921-3330.